Hi! My name is Cindy Tsui. 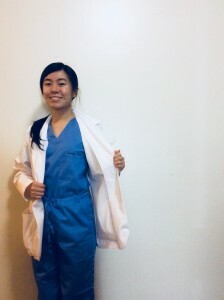 I am a third-year medical student at SUNY Downstate College of Medicine and a Kaplan Medical Student Brand Ambassador. 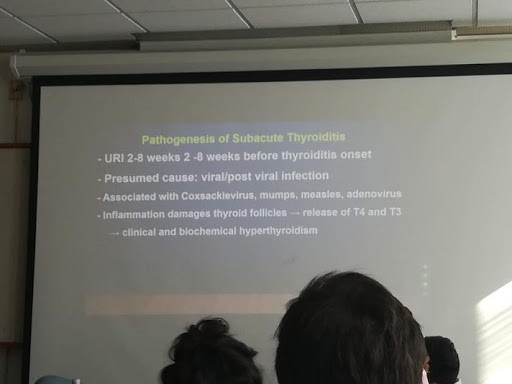 Currently, I am learning a ton and very much enjoying my Internal Medicine rotation. Here is a week in my life as an MS3! 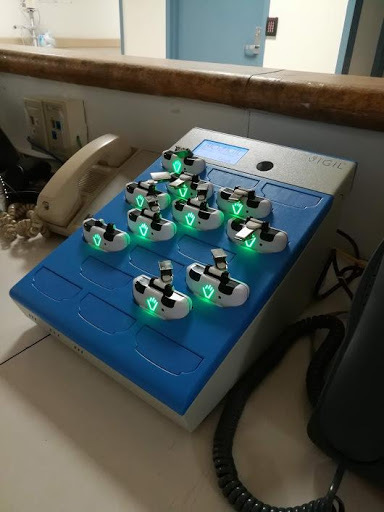 In the morning, our team accepted 6 patients from the residents who were working overnight (called “night float”). It was a productive and enjoyable day of pre-rounding (visiting our patients to perform a History & Physical), rounding (presenting our patients to the attending and rest of the team), writing notes, and attending lectures. I also met with my mentor about a clinical safety project my classmate and I are developing for the Medical Educators Pathway. I am extremely passionate about medical education, patient safety, and procedural technique. Prior to entering med school, I contributed to multiple curriculum projects on clinical safety at my former workplace (Icahn School of Medicine at Mount Sinai), including journal publications, online videos, the DermEdu website, and coordinating the Venipuncture Lab session. This year, I was excited and grateful for the opportunity to participate in our school’s Transition to Clerkship orientation week. We created a new educational resource for the all-day IV/Phlebotomy session and are currently collecting feedback from students and instructors. During the session, we also led two of the practice stations to help teach rising third-year students to safely and effectively perform venipuncture and place IVs. 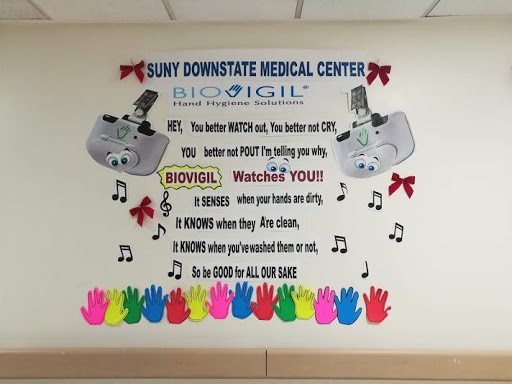 Here are photos of our hospital’s recent initiative with BioVigil to encourage hand hygiene in between patient encounters. Here are some more photo reminders that hand hygiene is critical in a hospital setting. 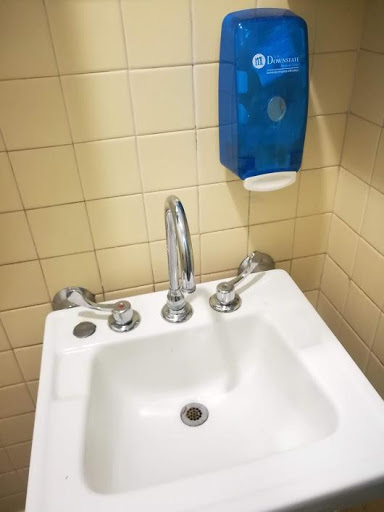 On the left is the omnipresent sink seen at our University Hospital. 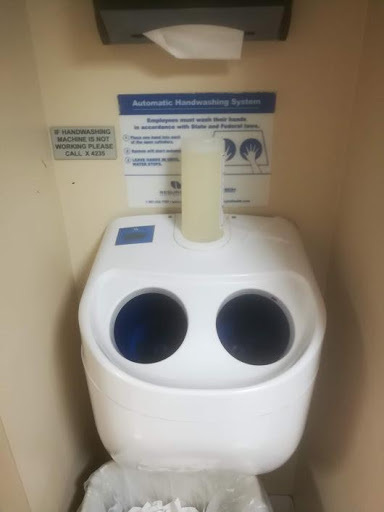 On the right is an automatic hand-washing system seen at North Shore Hospital where I completed my previous rotation. Today, our team does not accept new patients, but continues to follow up and care for our current patients on the floors. Always remember that a kind, respectful, and compassionate approach to patient care is crucial. Patients rely on us to practice evidence-based medicine that is mindful of their unique interests and values. 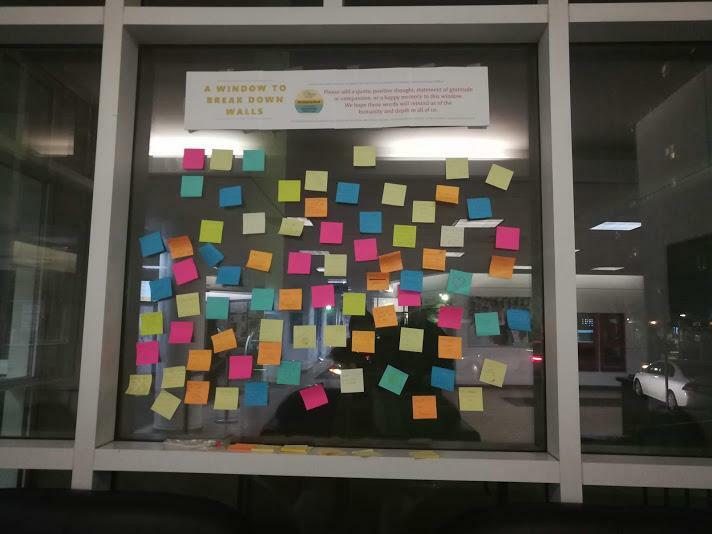 Our Gold Humanism Society chapter recently created a post-it display wall of quotes, memories, and gratitude for their Solidarity Week. Today, our team accepts new patients to our service in the morning. In the afternoon, I have my longitudinal experience in a primary care setting. This requirement consists of online computer modules with hypothetical patients. Located in Brooklyn, SUNY Downstate College of Medicine is within convenient walking distance of several subway lines. I was able to pay a visit to my friend up in the Bronx to try a local Mexican food place on my one day off this week. 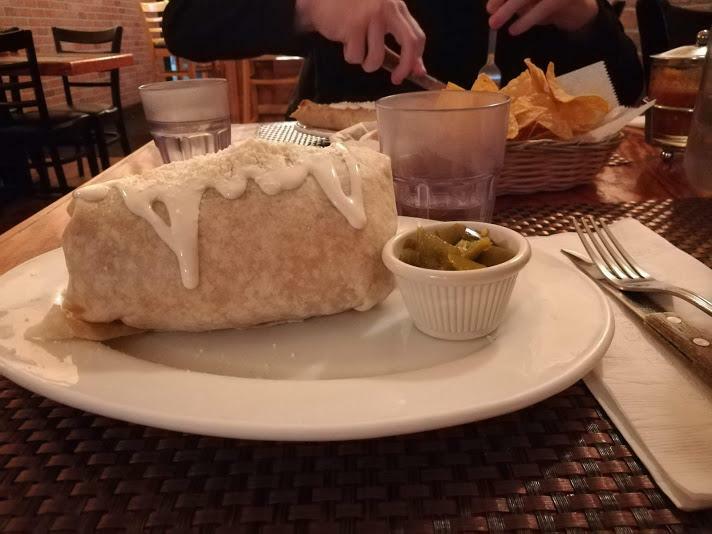 That burrito was gigantic! As the team on call, we wear scrubs and respond to codes, such as when patients go into respiratory or cardiac arrest. Fortunately, there were no codes today. We worked over 13 hours, rounding, writing notes, making phone calls, and helping admit patients. The call schedule at our hospital is “q6,” meaning it repeats every 6 days. 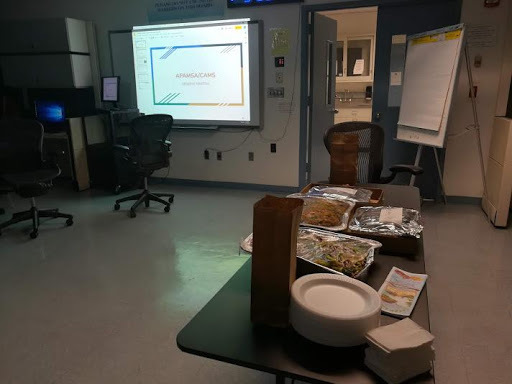 After the workday, I was able to attend a meeting for our school’s chapter of Chinese American Medical Society (CAMS) and Asian Pacific American Medical Student Association (APAMSA). 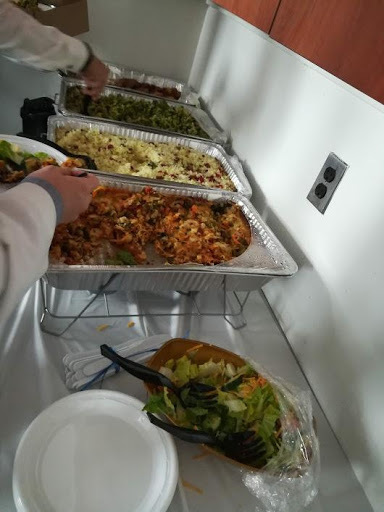 I had previously served as CAMS Secretary and APAMSA Delegate to the American Medical Association (AMA), and it was awesome to get to meet many of our first-year students who are new members. I am excited for the many cultural, educational, and health-related events they will host this year! 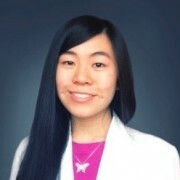 Cindy Tsui is a medical student at SUNY Downstate College of Medicine. She loves learning and sharing her knowledge and experiences with younger students.